In case you have not picked up on it yet, we think the Common Wealth Connect Application that we have built for the State of Massachusetts is a pretty big deal for the open government community and the State of Mass. Take open civic communication dedicated to improving neighborhoods and distribute the costs and responsibility across 35 jurisdictions in one swoop and you get something that's guaranteed to make a pretty big impact. The most exciting part for the folks in our office, as it is with every new city launch, is getting to know the new users, citizens and muni folk alike, and getting to see what they do with their new toolset to improve their neighborhoods. We'll be giving updates from many of the new towns launched in Mass over the next couple of months but for now we'll leave it to the local news sources such as this one: http://www.sciwoburn.org/category/tags/seeclickfix to start telling the story open online government in their own backyards. Woburn, Mass, is a town that that has been having Off-line Town Meetings since 1642. With such good practice off-line it will be exciting to take a look in from on-line. Its great to see another great local news source popping up in New Haven. The Daily Nutmeg has done a great job of attracting a team of very talented writers and housing them on a very attractive web platform for their stories. It's a good snowy day read. 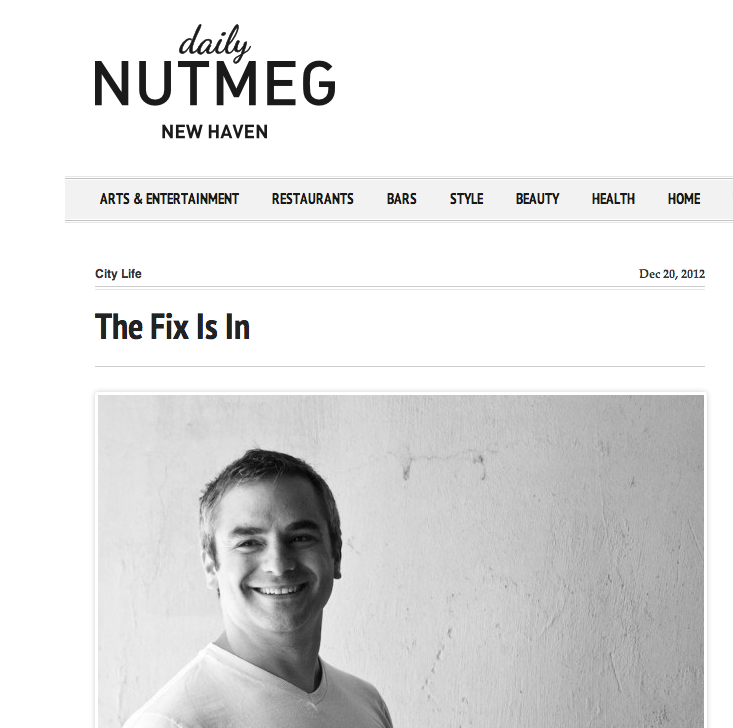 Check it out and add Daily Nutmeg to your Daily Read List. 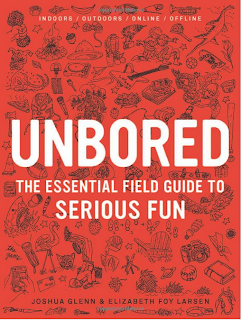 Our friend Rich Robbins just tipped us off to what looks like a really cool book for kids called Unbored. 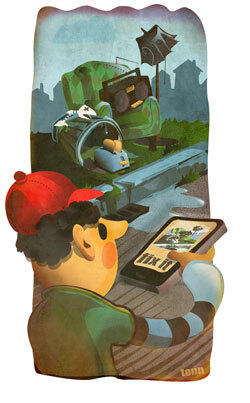 Unbored features SeeClickFix as one of the activities for kids to get "unbored". We love the idea of getting kids more involved in their neighborhoods at as early an age as possible. In the past we have facilitated neighborhood improvement activities with an Achievement First Classroom in Brooklyn that my sister Brianna taught as well as a Common Ground Highschool classroom in New Haven, CT.
We also believe that SeeClickFix is Serious Fun. Whether its the reward of fixing up a park bench or crushing your friends civic points score (just try and beat me) we have been quietly striving to create an experience validated by a definitive field guide on serious fun. When we see kids use SeeClickFix at a young age we also see them encourage their parents to get involved as well and that's a win for the neighborhood. Thanks for the plug unbored! To find SeeClickFix and other apps such as http://www.turbvote.com in the book look for the Apps To Make Changes section. On a snowy New England Day it seems like there's no better time to pick up the book. The more information that cities have about the priorities of their citizens, the more effectively they can customize municipal services to provide for their citizens' needs. SeeClickFix enables our government partners to do this by providing them with data and analytics through our Dashboard. In addition to empowering city officials to respond efficiently to citizen requests, this helps municipalities to know what types of issues their citizens are reporting, which neighborhoods are creating the most issues, etc. Richmond, VA deserves special recognition for innovative analysis of this data. To better understand the perspective of Richmond taxpayers, some creative city employees have developed customized reports like this one by using information from SeeClickFix. The reports help decision makers to deploy the city's resources more efficiently, addressing the practical concerns that affect the day to day lives of the people of Richmond. We're happy that we can support Richmond in its ongoing work to improve the quality of the services it delivers, and we look forward to seeing more innovative uses of SeeClickFix data. SeeClickFix, City of Boston Introduce Innovative App for Municipalities Across Mass. BOSTON – Monday, December 17, 2012 – The Patrick-Murray Administration and the City of Boston today launched the kickoff of the Commonwealth Connect smart phone application -developed originally for use in the City of Boston by Mayor Menino’s Office of New Urban Mechanics. The expanded App allows residents to report quality of life problems, such as graffiti and potholes, directly to the appropriate local government for resolution. Secretary of Administration and Finance Jay Gonzalez joined local officials at City Hall to announce details about this new application, available to thirty-five participating municipalities. Funded by the Community Innovation Challenge Grant Program, the Commonwealth Connect app was inspired by the success of Citizens Connect, a mobile app launched in 2009 by Mayor Menino’s Office of New Urban Mechanics. Today, 20 percent of all quality of life requests the City of Boston receives from its residents comes from Citizens Connect, resulting in more than 35,000 improvements in Boston neighborhoods. To use Commonwealth Connect, residents with smart phones will simply download the app and launch it. They will snap a photo of the problem, note its location and submit it; the corresponding participating municipality will receive the request. The residents then get a tracking number for their case and can see when their issue is resolved. The City of Boston is able to share Commonwealth Connect with other communities through funding from the Community Innovation Challenge grant program. Launched in the FY12 budget and administered by the Executive Office for Administration & Finance, this program invests in innovations that have the potential to lower costs and improve critical services through regionalization, new uses of technology, and improved management practices. In the first round of this program, 100 applications were received from 285 cities & towns, and 27 grants for a total of $4 million were awarded. 138 communities are participating in the 27 projects. "The Patrick-Murray Administration is committed to providing key resources and tools to support our cities and towns in managing through this fiscal crisis and beyond," said Secretary of Administration and Finance Jay Gonzalez. “Through regionalization of services, we are creating innovative opportunities for neighboring communities to build partnerships to deliver local services more effectively and efficiently." Commonwealth Connect works seamlessly across participating municipalities. Residents can report issues using the same app in any of the 35 municipalities. In addition to a mobile app, participating municipalities, if interested, will also be provided with a web-based app that can be used on desktop computers and a work order management system to handle the requests. Through the grant, these products will all be provided to each municipality for three years for free. The app is expected to launch by the spring of 2013. Participating municipalities include Ayer, Barnstable, Braintree, Brookfield, Chicopee, Clarksburg, Easton, Everett, Fall River, Fitchburg, Framingham, Halifax, Haverhill, Holliston, Lexington, Malden, Medway, Melrose, Middleborough, Nantucket, New Bedford, Newton, North Adams, Northampton, Orange, Revere, Somerville, Taunton, Wakefield, Watertown, West Boylston, Westborough, Whitman, and Woburn. Fifty-eight municipalities applied to be part of the program; these municipalities were selected in this round based on geography and the strength of their applications. Commonwealth Connect is being developed in partnership between the City of Boston & SeeClickFix. Based in New Haven, CT, SeeClickFix is one of the pioneers of apps and services that allow residents to act on issues they see in their neighborhoods. In the FY12 budget, Governor Patrick proposed the development of the CIC grant program to encourage and incentivize regionalization and other innovative efficiency initiatives. The CIC grant program was supported by the Legislature, providing $4 million for regionalization and other initiatives that will improve the effectiveness and efficiency in the delivery of local services. An additional $2.25 million in funding for the program was provided in the FY13 budget. Applications for the second round of this program, due November 30th, 2012, are currently under review and recipients will be announced in January 2013. In the second round of this program, 118 applications were received from 287 cities & towns. Commonwealth Connect is a project of the Mayor’s Office of New Urban Mechanics: Mayor Menino’s Office of New Urban Mechanics focuses on piloting transformative services that leverage civic engagement and new technology. About one year ago we got a phone call from Jason Van Driesche at Local Motion in Burlington, VT.
Vermont is a State like most that is plagued with very tight municipal budgets, but Jason did not want that to hinder the opportunities in communication between citizens and government that the Internet was starting to offer other communities around the Country. We agreed to discount the price of SeeClickFix for the bike advocacy organization and they agreed to work to get the towns and cities in Northern VT using the tool. A year later and Burlington, South Burlington and Essex Junction have all embraced the tool for their internal and external communication around service requests from citizens. With all of the tools that we have built for Governments to manage citizen communication and service requests we really like this quote from Bill Ward, Director of Code Enforcement in Burlington, "Transparency is SeeClickFix's Best Feature." Its really nice to hear governments agree with citizens that transparency is a feature not a bug. Cheers to Bill and all other great folks in City Halls around the Country who are making good use of the transparency features of the Web. Most of the partnerships between cities and SeeClickFix have occurred because citizens have brought the software to their City. Sometimes the partnership occurs because a city employee gets excited about using the tool in their personal life and wanted brings the process into City Hall. Its a rare case where the citizen organization purchases the software for the government but we have seen similar examples elsewhere. We love this story because its similar to how SeeClickFix was created. A few citizens looking to make change in their community from the bottom up CAN create that change in a constructive way that results in wins for both citizens and government partners in the community. That makes us pretty happy. Check out the great story hot off the presses in Burlington for more. Lately we have heard from many of our government clients about the need to send their crews out into the field armed with SeeClickFix data necessary for resolving issues. While some of our clients are using technology to provide this information to department staff hitting the streets, many more rely on paper work orders for their field crews. After hearing this feedback, SeeClickFix is happy to introduce our new printable work orders for government clients! Available today, work orders can be generated from the "Issues" tab of your SeeClickFix CRM dashboard. Search for issues by assignee, service request type, issue status and/or geography to create the list of issues you need work orders for. Click the check box at the top left of the results list to select all issues, or select the individual issues you need work orders for. After you've selected your issues, click "Generate Work Orders" to save a printable PDF file of your selected reports to your computer. Each work order contains the issue title and description, as well as any images submitted by the resident who reported the issue. The incident address is printed in the header and footer of the work order, as well as marked on a large, easy to read map. Comments, internal notes and responses to secondary questions about the request are all printed on the order if available. A blank section for "Field Notes" is also included on each work order, allowing crew members to record information about the resolution of the issue. Once resolved, the issue can quickly be retrieved in the dashboard by searching for the issue number located in the header and footer of the order. Will generating work orders from your SeeClickFix dashboard help streamline your internal workflow and save you time? Have feedback or questions about this new feature? Get in touch today!